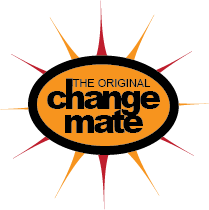 BLACK CHANGE MATE - WATERPROOF - 5 ONLY! Sling it over your shoulder and voila!! There is even a secure pocket for your valuables. You can even use it as your bag for a day out shopping at markets where trying on a piece of clothing you really like can be tricky due to a lack of changing rooms. Simply use the Change Mate to try on what you like and then use in again in duffle bag configuration to carry home your purchases. The Change Mate really is the ultimate Portable Change Room! 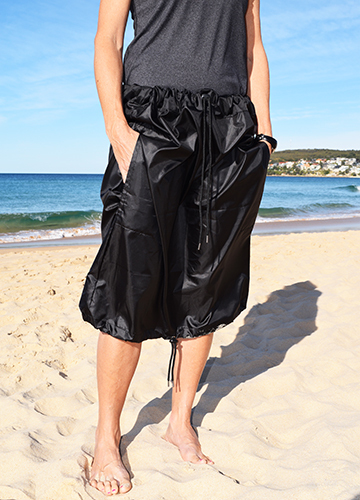 This Change Mate is made of lightweight waterproof material perfect to put your wet items after a swim or surf. Enjoy your Change Mate and please don't forget to give us feedback. We're always looking at making our products even better. Designed in Australia and Made in Australia.